The Secretary of State for Health (Jeremy Hunt): Medical innovation has been vital to the dramatic rise in life expectancy of the last century. This country has a proud heritage of medical innovation from Alexander Fleming and the discovery of penicillin to Sir Peter Mansfield’s enabling of magnetic resonance imaging. The government should do whatever is needed to remove barriers that prevent innovation which can save and improve lives. We must create a climate where clinical pioneers have the freedom to make breakthroughs in treatment. innovation could lead to major breakthroughs, such as a cure for cancer. Their cause is a noble one, which has my wholehearted support. Lord Saatchi, in particular, is a great example of a parliamentarian motivated by conscience. It is precisely because this issue is so important, because it affects us all, that we need a full and open consultation. 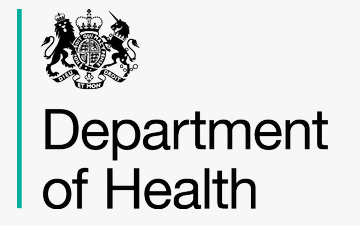 A consultation that gets the views of patients on the right balance between innovation and safeguards. A consultation that hears from clinicians on the problems they face in innovating and how to overcome them. We are grateful to the hon Member and the noble Lord for their own work to understand and address these issues. So the government commits today to carrying out a full consultation, working with Lord Saatchi and the hon Member for Northampton North. This will draw on the wide engagement and discussions that they have already carried out with the public, patients and the legal and medical professions. Such a consultation will enable an open debate on medical innovation, as well as highlighting its vital importance. The government expects to launch this consultation in January 2014 and to respond by May 2014. My second commitment is that the government will seek to legislate at the earliest opportunity, subject to the results of the consultation.